This entry was posted on 2014/11/21 by Robin. 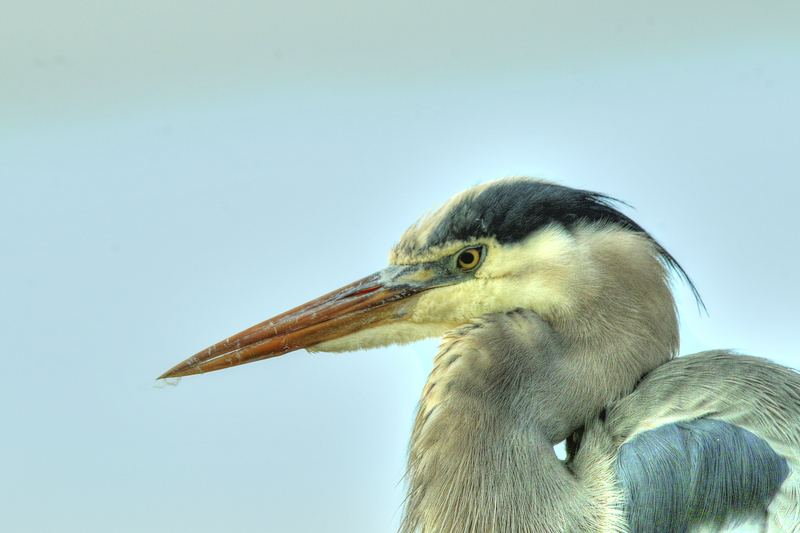 It was filed under Birds and was tagged with B.C., Great Blue Heron, Heron, Ladner, Reifel Migratory Bird Sanctuary. Ruth, thanks! He was drawing lots of attention! Love close ups of these guys! Robbie, this guy was actually sitting on to of one of the bird boxes! Nice and up close, beautiful Robin.